No code ChatBot - Engage your customers across Web, Mobile & Social channels - 24x7 to scale your customer engagement, drive sales, lead generation & overall happiness. Freshdesk+AmplifyReach for seamless customer life cycle. Chatbot for Web, Mobile and Social channels for 24x7 support and sales! AmplifyReach Catalyst Platform uses sophisticated Artificial Intelligence technique to enable human like interactions. You can use intuitive No Code-Conversation builder to build & test your conversations. No special skills or coding knowledge required. Engage with your customer where they are on Mobile, Web & Social channels. Integrated Freshdesk + AmplifyReach account lets you track all automated chats in FreshDesk CRM ticketing. Enable your Freshdesk integration with Amplifyreach today to start bringing your website conversations with visitors and offline chats into your FreshDesk support system. Watch 2 min video series on integration - http://bit.ly/2uFf7FW AmplifyReach Catalyst Platform - Features * Chat Bot - Power to build conversations with no coding knowledge. * Omni-Channel - Deploy to all channels: Mobile, Web, Social Media (e.g. Facebook Messenger). * Human Like Dialog - Converse with the true power of NLP and advance intent identification. * Intent Switching - Advance features include intent switching which allows the user to switch between conversations seamlessly. * Analytics - Readily available Chat Bot metrics. Support for custom reports through tools like Power BI or Tableau. * Compliance - You own your data. Historical chat data is always available. * Security - All communication and transaction utilize industry standard security infrastructure and technologies. * Agent Terminal - With your sales and support team + Chat Bot, you can deliver augmented intelligence system to provide best in class customer experience. AmplifyReach Catalyst Platform - Advantage * One Stop Destination For All Queries - Single window to support multiple conversations for your customers. * Consistent Brand Experience - Consistent quality of service, with no mood swings and errors. Deliver higher customer satisfaction and happiness. * Efficiency - Proactive and Quality engagement, no need to put your customers on hold or wait. Generate higher throughput with existing resources. * Concierge Service - Personalisation for your customers through AI platform with advanced targeting and match-making for your products and services. Watch 2 min video series on integration - http://bit.ly/2uFf7FW Detail steps available at - http://bit.ly/2gMGybB You can follow these steps to integrate your Freshdesk account with AmplifyReach Catalyst Platform and create tickets for conversation. On Freshdesk: 1. Login to your Freshdesk account Note your Domain URL, eg: https://youraccount.freshdesk.com/ 2. Go to “Profile Settings” 3. Find and copy your “API key” On AmplifyReach Catalyst Platform: 1. Login to your AmplifyReach account Go to “Bot Studio -> My Conversations -> Create New Conversation” to create a new conversation. Refer: https://amplifyreach.com/chat-bot/building-conversation.html 2. Go to “Bot Studio -> Deployment”, click on "New Deployment" Select Conversations you want to deploy and also select "Freshdesk" under Integration 3. Add Freshdesk “API key” and URL 4. Click on the "Verify Connection" and test the connection with Freshdesk 5. Click on "Deploy Instance" 6. Copy the "Client Widget Code" for the deployed instance and paste that code into your website html 7. Click on the widget to start the conversation using AmplifyReach chatbot 8. You have now integrated your Freshdesk account with AmplifyReach chatbot. AmplifyReach catalyst platform integration with Freshdesk will create tickets for each conversation. 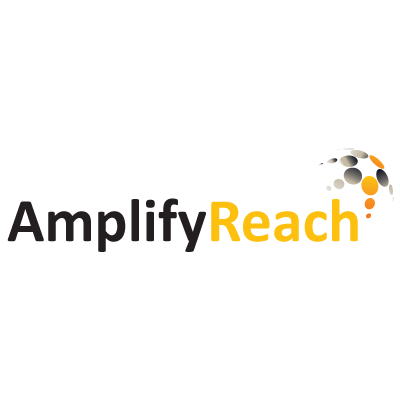 Contact: support@amplifyreach.com for any queries or questions.